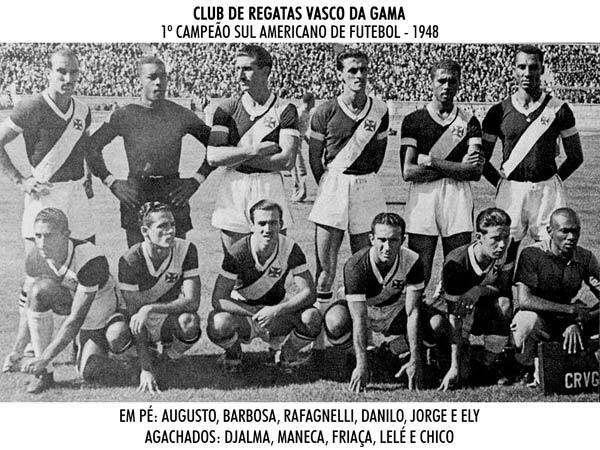 In 1948 Brazilian club Vasco da Gama was crowned first South American Club Champion ever. In a tournament with most reigning champions of South American countries taking part, it was the first real continental championship for clubs ever, beating the European Cup by seven years. Staged in Santiago, Chile, this tournament although never repeated, was looked upon as a major trophy. So it was no surprise that Vasco da Gama received a hero’s welcome back in soocercrazy Brazil. During the years clubs and associations had organized many small friendly tournaments with invited clubs from all over the world. The Mitropa Cup (‘Mit’ deriving from Mittel, meaning central) was a bit more serious, bringing the best clubs together from seven European countries (Austria, Czechoslovakia, Hungary, Italy, Yugoslavia, and occasionally Switserland and Rumania) for a prestigious yearly tournament from 1927 until 1940. 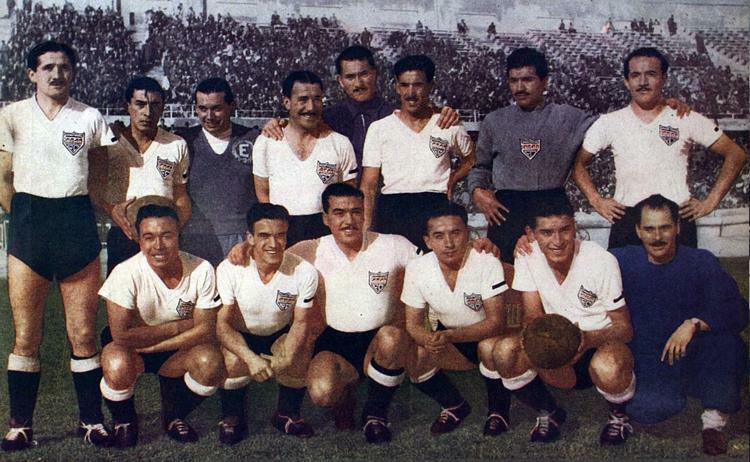 In South America summer tournaments were common during the forties, and now Colo Colo’s president Robinson Alvarez was the driving force behind the 1948 South American Club Championship, the first tournament that covered the best teams of a whole continent. 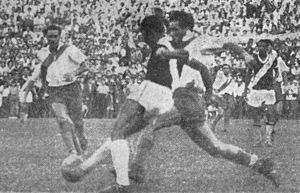 No invitation was sent to Colombia, where the first professional league started later in 1948, while for Paraguay the Civil War might be the reason for not participating. Although Paraguay did have a professional league that year, won by Olimpia Asuncion. Lowly rated Venezuela wasn’t considered, because the country played its soccer mainly in Central America. Venezuela didn't join the South American Football Federation Conmebol until 1952. Upfront, especially River Plate and also Nacional Montevideo were the big favorites. In those days Argentina and Uruguay were the leading force in South America, Brazil only being a sleeping giant with lots of potential, but hardly any silverware to show for. River Plater had a wonderful team, with a very profilic attacking force. 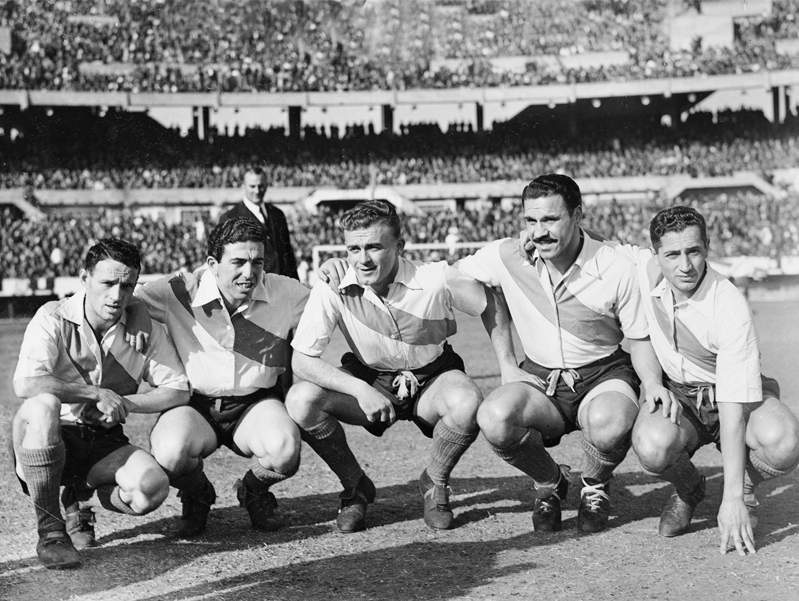 In the national campaign of 1947, all five forwards scored ten or more league goals: Alfredo di Stefano made 27 (which crowned him topscorer) Angel Labruna 16, Felix Lousteau 13, Juan Manuel Moreno 10 and Hugo Reyes also 10. 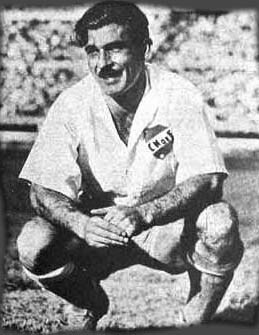 Nacional Montevideo won Uruguayan titles back to back in the forties, with Argentinian Atilio Garcia almost always claiming the topscorer-title - eight times since 1938. With Eusebio Tejera, Schubert Gambetta , Anibal Paz en Rodolfo Pini Nacional had four players that would become World Champion in 1950. And they had 21-year old Walter Gomez, who a few years later signed for River Plate and therefore missed out on the World Cup, as Uruguay ruled not to include players from abroad in their squad. Vasco da Gama was one of the leading teams in the Rio-state, together with Flamengo, Fluminense and Botafogo. Their best players at the time were goalkeeper Moacyr Barbosa, defender Wilson, midfielder Lele, playmaker Danilo and forwards Chico, Maneca, Friaca and certainly Ademir Menezes. Except for Wilson and Lele, these players were the core of the Brazilian team that lost the World Cup two and a half years later. 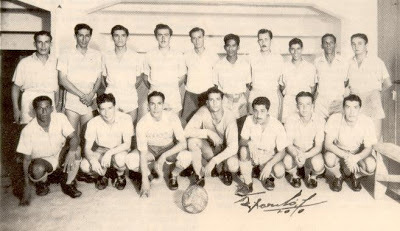 They won the 1947 state championship unbeaten (17 victories in 20 matches), which earned them the nickname The Victory Express (O Exprresso da Victória). Colo Colo thought they might have a chance, having one of their best squads ever. So they scheduled their match against favorite River Plate as the last match of the tournament, hoping it would be the final. Legend coach Enrique Sorrel could count Jorge Penaloza (14 league goals in 1947) , Pedro Hugo Lopez (11), Juan Aranda (8) and club-icon Alfonso Domniguez (6) for scoring goals. Colo Colo also brought in four guest players to strengthen the team, among them Audax Italiano’s Carlos Varela. Twenty-year old Raimundo Infante (Un. Catolica) also played one game during this tournament. The schedule for the round-robin tournament was a bit off. It was decided to play two matches every three or four days. In total, the tournament took five weeks (February 11 until March 17) to complete. Colo Colo’s ambition collapsed at the first day of competition, as minors Emelec held on to a draw after even leading 2-0 early in the match. The big match in the first stage of the tournament was Vasco da Gama against Nacional Montevideo. Both had won their first game. Nacional proved to be no match for the Brazilians, who won easily 4-1. Unfortunately, for Vasco’s star striker Ademir Menezes it was his last match of the tournament, due to injury. The next big match was matchnumber 14 on March 3: Nacional Montevideo against River Plate. Without Alfredo di Stefano, River Plate was no match for Nacional, who fought for their last chance. Goals by Atilio Garcia, Luis Ernesto Castro and Juan Ramon Orlandi gave Nacional a comfortable 3-0 win and temporarely second place in the tournament. Meanwhile, Vasco da Gama could only manage a 1-1 against Colo Colo in their fifth match. Two days later, Nacional waisted their chances losing 3-2 to Colo Colo. So it all came down to the Vasco da Gama against River Plate match. For the Brazilians, it was their last match and a draw would be enough to secure the title. Still, the Argentinians were the big favorite, with Alfredo di Stefano playing his second match of the tournament – he had just scored three in his first match, against Litoral. It proved to be a nerve wrecking match with lots of brilliant saves from both Barbosa and River Plate’s Hector Grisetti. Defender Wilson played a great game against Di Stefano. Angel Labruna waisted the biggest chance of the first half, as Barbosa denied his penalty. The spectators were in for another treat during the second 45 minutes. Both Maneca and Wilson had to be substituted, while Rivers Hugo Reyes and Vasco’s Chico were sent off for bad behaviour. The last five minutes were perhaps the best five minutes in the entire career of Vasco’s goalie Moacyr Barbosa. With superb reflexes he saved the point for his team, and by doing so singlehandedly won the cup for his club Vasco da Gama. Barbosa; Augusto, Wilson; Eli, Danilo, Jorge; Djalma, Maneca, Friaca, Ismael, Chico. Unfortunately, this tournament proved to be a one-time affair, as it took twelve years until its successor, the Copa Libertadores, got on its way in 1960. It produced a famous winner though, Vasco da Gama surely was one of the best teams in South America those days, and probably in the world. On a personal level, Vasco da Gama’s goalkeeper Moacyr Barbosa was definitely the best player in Santiago those five weeks. But many great strikers also showed their talent, as no less than 76 goals were scored in 21 matches. 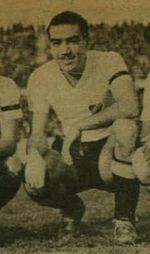 Four goals were scored by some famous players: Pedro Hugo Lopez (Colo Colo), Alfredo di Stefano and Felix Lousteau (both River Plate), Friaca (Vasco da Gama), Maximo Mosquera (Dep. Municipal) and Walter Gomez (Nacional). His clubmate Atilio Garcia topped that with five goals. But the tournaments topscorer was a fairly unknown player from Bolivians Litoral: Argentinian-born Roberto Capparelli (26 years old) scored seven of his clubs nine goals. Not much is known of this player, although he did compete (with most of his teammates at Litoral) at the World Cup 1950, losing the one match against Uruguay 8-0. Maior competição Sul americana de todos os tempos. elencos legendários.